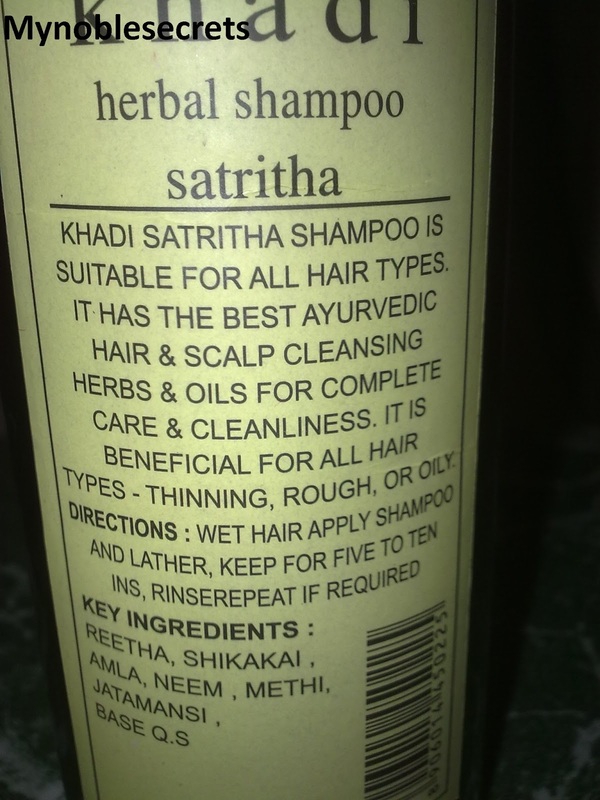 Khadi Satritha shampoo is suitable for all hair types. It has the best ayurvedic hair and scalp clenasing herbs and oils for complete hair care and cleanliness. It is beneficial for all hair types - thinning, rough or oily. 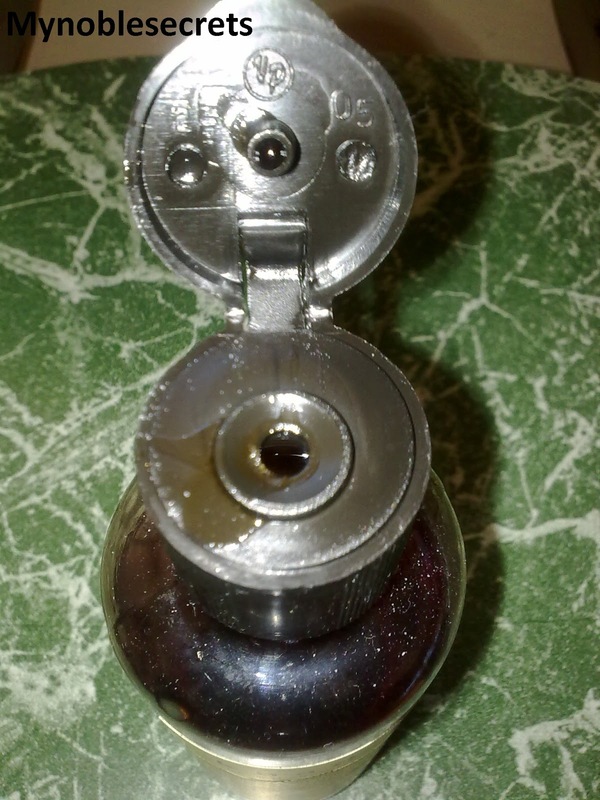 This Shampoo coming in a sturdy plastic bottle with Flip cap open. 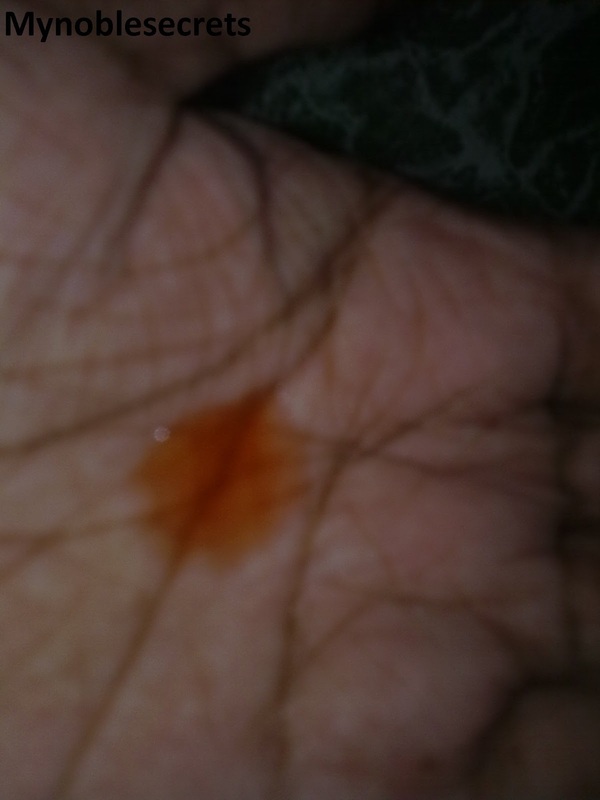 The shampoo is in Red colour liquid ( I don't know why this shampoo also in Red colour?). This shampoo lathers well and cleans the hair well. My Mom told this shampoo leaves hair normal neither shiny nor dry. They mentioned it is suitable for all hair types. But, I don't think this shampoo helps for Dry hair. It has the goodness of Amla, so It can help in grey hair problems. It smells awesome and the smell stays on the hair for some time. My Mom has no problem with this Shampoo and like it. She also likes herbal products. Additional information it controls hair fall also.... The amla, Neem and Methi ingredients sounds good in this shampoo. They are very good for hair fall control and prevent premature greying. My Mom use amla in her hair care always, so she liked this shampoo very much. A small quantity is enough for one time use and because it lathers well, there is no need of extra quantity and it comes for really a long time. 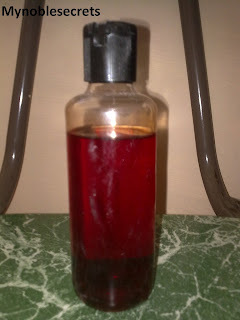 My Mom has used khadi herbals soaps already and she liked them a lot. So, I think she will continue her Khadi Herbal journey by buying them regularly. I am happy that I found a good shampoo for my Mom. Lathers well and cleans the hair well. Leaves hair soft and controls hair fall. This shampoo wash needs Conditioner for extra shine of Hair. I don use shampoos as my hair is easily prone to drying! Ohhh that's sad....then what u use to cleanse ur hair Raaga??? 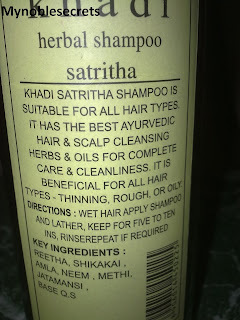 Nice review.. :) satreetha is really good for hair but can also make hair dry some times. I wish summer was here and I could wash my hair twice a day. 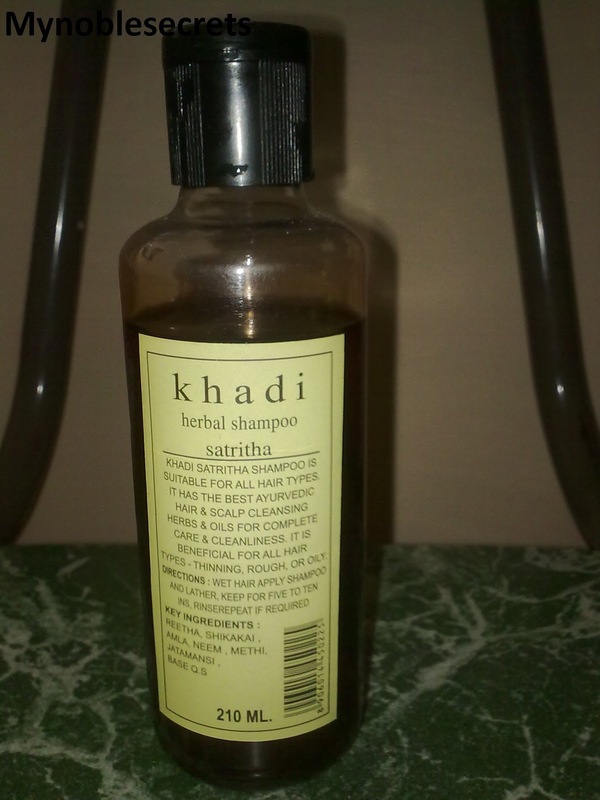 Since I am trying out Khadi products, I would surely give this one a try.